The gesture is excellent. Business man with money showing thumb. hd00:10Business man with money. A business man is holding money, hiding. 4k00:21A young man waves the money in his hand. He is handing it to someone. 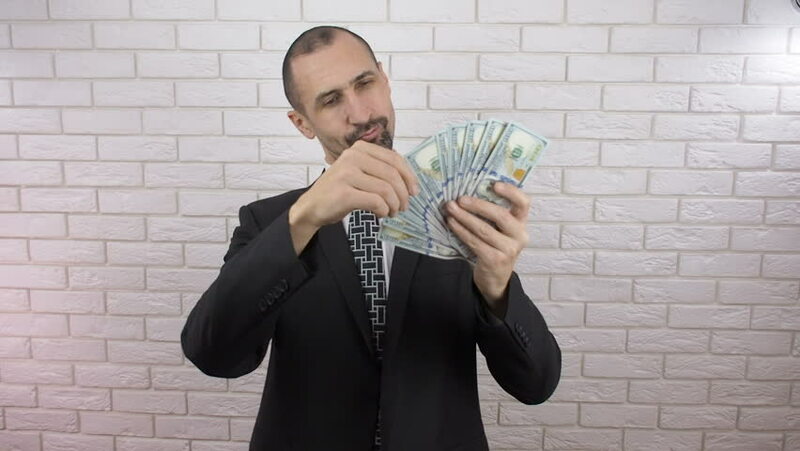 hd00:07Happy joy caucasian businessman with lots of one hundred US dollars banknotes. Cash, money, ready money, Finance & Business. Financial income, wages. hd00:08Happy joy caucasian businessman with lots of one hundred US dollars banknotes. Cash, money, ready money, Finance & Business. Financial income, wages.